There are so many conflicting and confusing conversations regarding the truth about fat and muscle and I thought it would be a really useful topic to discuss, so here it is! If I exercise lots my fat will turn into muscle! This statement taken literally can NOT be true. Muscle and Fat are 2 separate things completely. Muscle is made up of muscle cells and muscle fibres – fat is made up of, well fat! Fat cannot suddenly develop muscle cells and fibres – and muscles cannot physically turn into fat so this simply can’t happen. HOWEVER – how this statement could be interpreted if we didn’t take it quite so literally is: When we are exercising we are simultaneously burning fat, and building muscle. The effect of this is that although your fat will not physically turn into muscle, your fat will reduce and where there used to be fat will now be that freshly built up muscle! Muscle Weighs More Than Fat! Again – it depends on which way you interpret this statement. There are many times when people are trying to lose weight that they perhaps have been exercising a lot and eating sensibly but their weight hasn’t changed. Person A then says “well muscle weighs more than fat” – which is often then followed up person B “no it doesn’t – a pound of fat weighs the same as a pound of muscle”. So which statement is true? Actually BOTH of them are! A pound of muscle does weigh the same as a pound of fat, the same as a ton of bricks weighs the exact same as a ton of feathers…BUT when we visualise a ton of bricks you are probably looking at a large palette of bricks – a ton of feathers on the other hand would probably cover your whole house! The same can be said for fat and muscle. If you look at the picture (above) on this blog, it compares 5lbs of fat to 5lbs of muscle. As you can see – a lb. of fat physically takes up more space than a lb. of muscle and quite considerably so. Conversely if you have a lump of fat in a 5-inch square, and a square of muscle the exact same size – the muscle would weigh MORE! This is the reason why we will often not lose any weight despite working out hard and eating well. 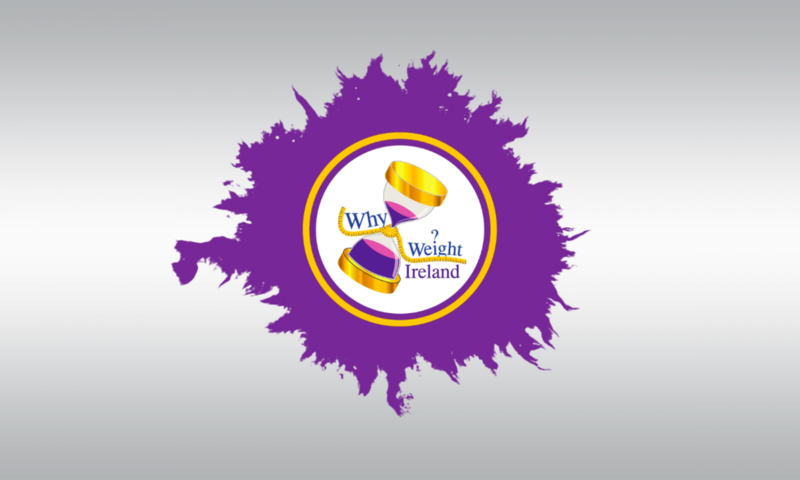 We jump on the scales and are horrified that we have not lost any weight! But what the scales don’t show is the loss of fat and the growth of muscle. You may have burnt off 3lbs of fat but gained say 2lb of muscle – the scales is showing you have lost just 1lb…but in reality, on a weight loss programme what you are trying to lose is fat! So you have actually lost 3lb of fat (even if you don’t know it!!). Unless you have the super duper body fat/muscle analysis scales you are not likely to know what your losses and gains are – so the best way of measuring this is by taking both your weight in lbs. on the scales and also taking measurements with a measuring tape. One of my clients was consistently losing ½ lb. per week and was getting very disheartened, however – she was also exercising significantly. After advising her to take her measurements each weight she was delighted to see that although her weight loss was only ½ lb. to 1lb, she was losing 3 ½ inches! So she WAS burning fat, but she was also building muscle at the same time. As muscle is more compact, the measurements went down even though the weight did not! My friend and I are the same height and same weight – but she is quite a lot slimmer than me and seems to be always eating and never gets fat! I look like such a frump and eat less – what is happening here??! Same Hight Same Weight Same BMI – Completely different Sizes! As discussed in the previous 2 statements, muscle is more compact than fat. If we compare 2 people of the same height and weight we would assume they would look pretty similar but in reality there could be several dress sizes the difference! Firstly body shape has a role to play in this as people carry weight in different places depending on body shape and proportion but secondly and more important is the percentage and ratio of fat to muscle. Person A could have a very high percentage of muscle, and a low percentage of fat. The muscle is compact and heavy, which adds to the weight gain – however as it is compact it also takes up less space so that person will also be slimmer (take up less space). Then if we look at person B – exact same height and weight as person A, but a low % of muscle mass and a high % of fat. As reflected in the pictures you can physically see in the picture, 5lb of Fat is A LOT bigger than the 5lb of muscle – if this is a whole persons worth of fat compared to the same whole person in muscle, of course there will also be a drastic difference in physical size! To also address the similar query that people who are slimmer seem to be able to get away with eating more, this again has a lot to do with muscle and fat percentages. So lets compare 2 people, Person A is very muscular and weighs around 9 stone. 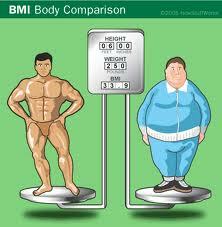 Person B also weighs 9 stone but has less muscle and a higher percentage of body fat. Even sitting side by side all day, doing the same tasks – person A will actually burn MORE calories than person B. The simple explanation for this is that muscle burns fat. If you are more muscular your body will automatically be consistently burning more each hour than a person with less muscle. The calorie needs for a muscular person will also be increased by several hundred calories – which is why it may feel like you are eating less than your friend but you gain weight and they stay the same or lose weight – simply because they automatically burn more calories each day than you do! Take measurements on both the scales AND with the measuring tape! Don’t compare yourself with others – each person’s genetic make up and muscle mass is different. If your friend has more muscle – she is automatically going to burn more calories than you! All you can do is go by your own weight loss, and your own measurements. I hope that helps with some of the mixed messages that are being thrown around out there! Now go BURN SOME FAT!!!! You can also join us on our Facebook Page where we share updates, blog posts, competitions and lots more.